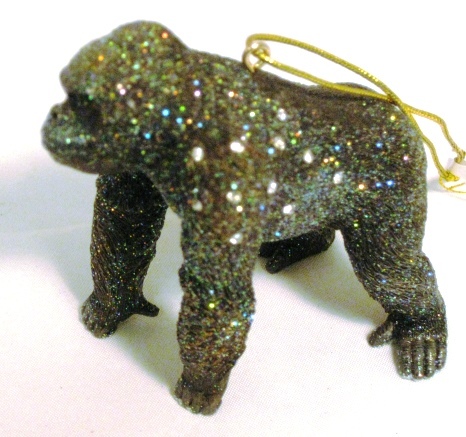 Glittery Gorilla ornament by December Diamonds. Embedded crystals catch the light. 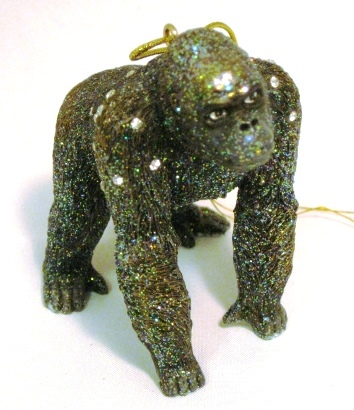 2.5" wide x 2.5" high.